database, and the first Tartan Finder. Find whatever you need. Speak to the Tartan industry experts and Get Help Fast. Whatever it is you want, we are here to help you. If you can’t find what you are looking for, please email, phone or tell us via the Email button above or Contact us now. 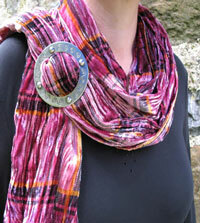 Irish Luxury brushed wool scarf will keep you warm and colourful. Fashioned in our distinctive crinkled velvet style. Made in Scotland. Scarf ring in crafted pewter. The perfect gift for a kilt wearer. 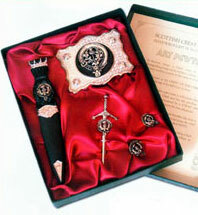 A Boxed 4 piece set comprising a Beautilful Crested Belt Buckle, Sgian Dhu, Kilt Pin and a pair of Cuff Links. 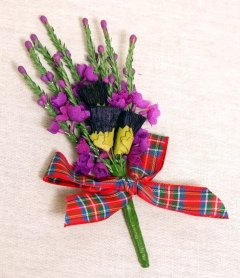 Chosse from 130 clans or the Thistle Emblem illustrated. 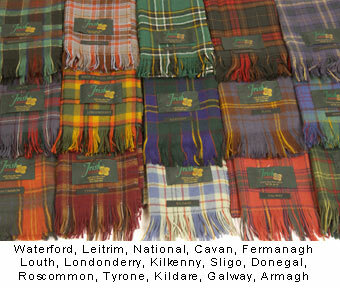 Take a look at colours and style of our large range of Irish Tartans. Find out the county where your name belongs. Tartan Finder, the comprehensive image database of all the worlds tartans, is linked to fabrics and products from Scotlands leading weaving manufacturers. 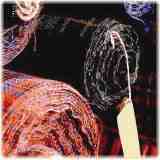 Tartan in weave - as fabrics in wool and silk - and as made up garments, are highlighted in red in the left column. 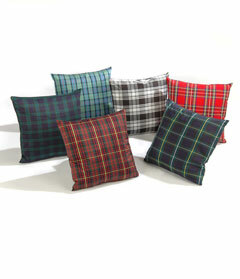 Just click on the "Products in ths Tartan" to find out what is available. 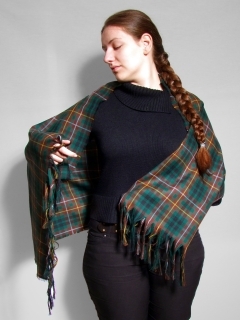 This very high quality, lightweight wool ladies' stole is fringed for a softer look, and makes a beautiful highland accessory for casual and evening wear. 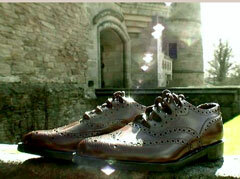 The silk is spun into a yarn like fine wool but with the soft touch of pure luxury silk. The fringes are hand knotted. Guidance towards a technically achievable design, with prices starting from £564 + duties and taxes. All you want to know about tartan dress is included in this book by J. Charles Thompson. Clan Connections is a database of Scottish Surnames which will lead you to their associated Clans and Districts linked to the, now legendary, House of Tartan 'Tartan Finder' and to the products available in your chosen tartan. More Clan items will shortly be available for purchace. Read more about Clan Crest You can freely download the surnames list of over 16,000 names. Speak to the Tartan Industry Experts, Get Help Fast. 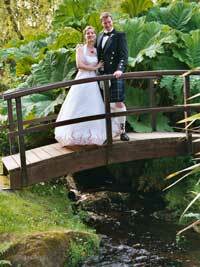 We have the answers and are definitive experts in Tartan, Tartan Fabrics, Kilts and Tartan Accessories. Email us at: or call us on +44 (0) 1764 679 000 for quick response. 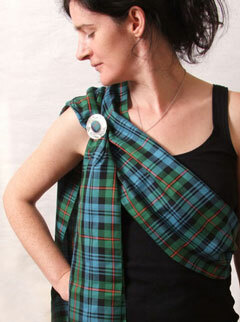 Everything you want or need to know about Tartan: Clans, Tartan Fabrics & Ribbons, Kilts & Highland Dress. Massive Tartan range, complemented by a selection of Scottish accessory items; many available immediately for shipment worldwide.